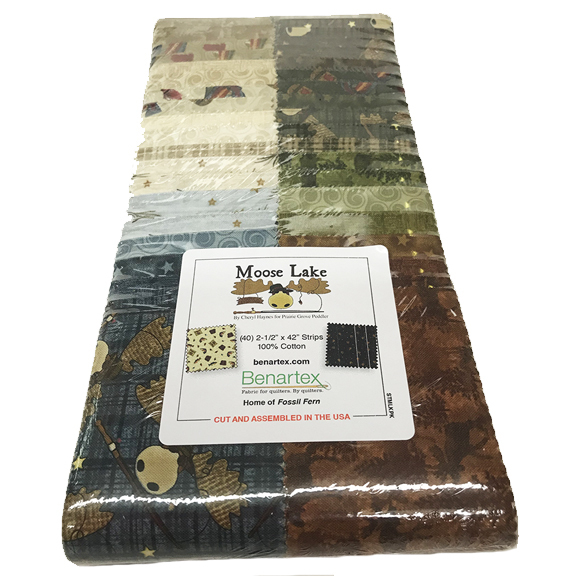 Welcome to Moose Lake, where whimsical moose roam near lakes and hills, and all the fabrics reflect the warm colors of the great outdoors! This latest collection from Cheryl Haynes has all the charming details you’ve come to expect from her fabrics. 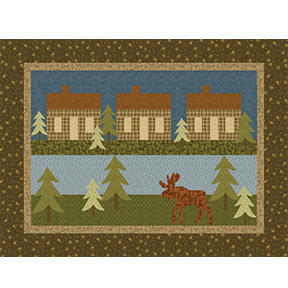 In addition to the Moose Lake Panel, you’ll find Cheryl’s signature moose in a tossed allover print, a neat fishing print with lures and fish, and tossed pine cones sprinkled with stars. There is also a complete assortment of coordinating textures and plaids, all in the weathered greens, mocha and pine greens of an outdoors camping ground. Welcome to Moose Lake! Look for additional Moose Lake patterns at prairiegrovepeddler.com.